Enhance the user experience with no added effort or cost. Increase the number of attendees and improve the efficiency with which your event is run. Ensure customers' attendance in future events by delivering exceptional experiences. Use iBeacon to provide indoor navigation functionality. Validate tickets easily at checkpoints for efficient redemption processes. 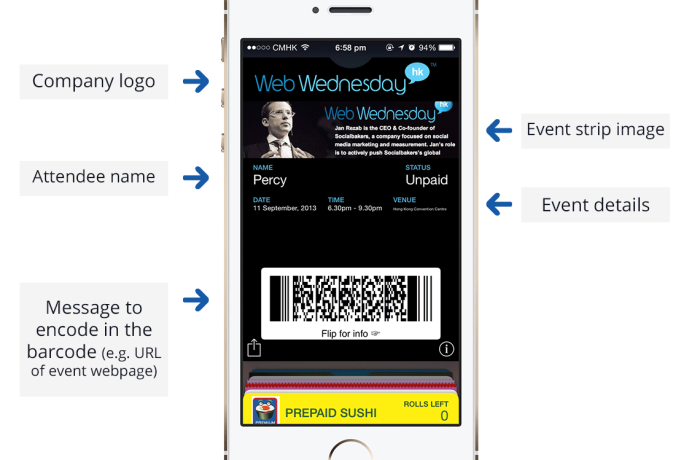 Click on 'Add' to add the event ticket to your mobile wallet.